If your dream is to use new and emerging technologies to create art, the integrated media concentration in studio art will put you on that path. You'll explore contemporary artistic practices in analog, digital and innovative technologies and ways to work between various media. 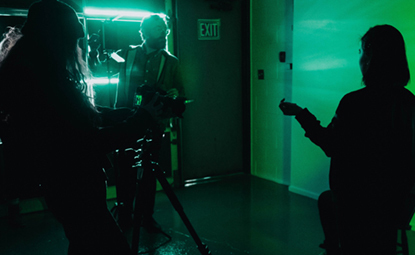 You'll study contemporary theory, lens-based practices, time-based digital media, performance and installation in courses such as of introductory video, photography, sculpture and digital tools for artists. As you build your skills and learn to think critically, you'll select advanced courses in video and photography, performance, multimedia and digital media to develop conceptually rich work grounded in a diversity of practices.